Home BLOG Is Buying Your Home With Cash Always the Best Choice? While buying a home with cash may seem like a dream come true, it may not always be the smartest choice. There is much to consider when deciding to purchase a home outright with cash versus taking out a mortgage. 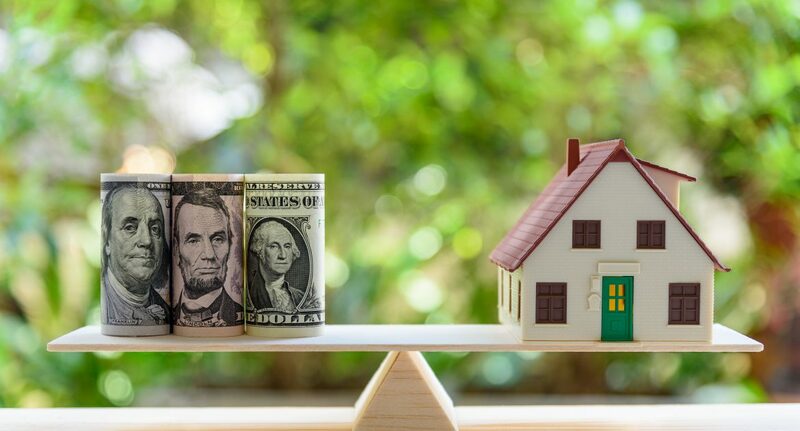 The biggest advantage to paying for a home outright with cash is that it eliminates the need to pay interest on any loan and eliminates substantial closing costs, such as mortgage origination fees, appraisal fees, or other lender fees. It is attractive to sellers when buyers pay in cash since they do not have to worry that financing will be denied and they must find a new buyer. Also, a home purchased outright with cash typically closes faster than a home purchased with a financing. Financing a home also has significant benefits. By financing the purchase of your home, you do not tie up substantial cash you may need for major repairs, renovations or emergencies. Having this unspent cash will broaden your options and allow more freedom in your choices. Buyers paying with cash may choose to barter with the seller to obtain the property for a cash discount, since a cash transaction is more likely to close. When you are considering whether to purchase a house outright with cash or finance it, it makes sense to opt for the choice that will give you the greatest comfort. Ask yourself which option will provide a greater return on your investment and which option will give you the greatest peace of mind. Everyone should make their own choice. If paying with cash, be sure you will have enough cash to cover the property taxes, homeowners insurance, and homeowners association dues. If you do decide to take out a mortgage, be sure you can afford the principal and interest payments each month. Richard S. Weinstein is the real estate attorney you want to hire to help you with the home buying process. He is an experienced attorney who can help with any stage of the real estate process whether you are paying outright with cash or taking out a mortgage.